ReadySetF a s h i o n: Timber! 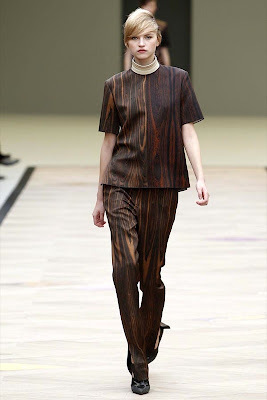 Never, NEVER, never did I expect wood grain to pop-up on the runway at Paris Fashion Week. 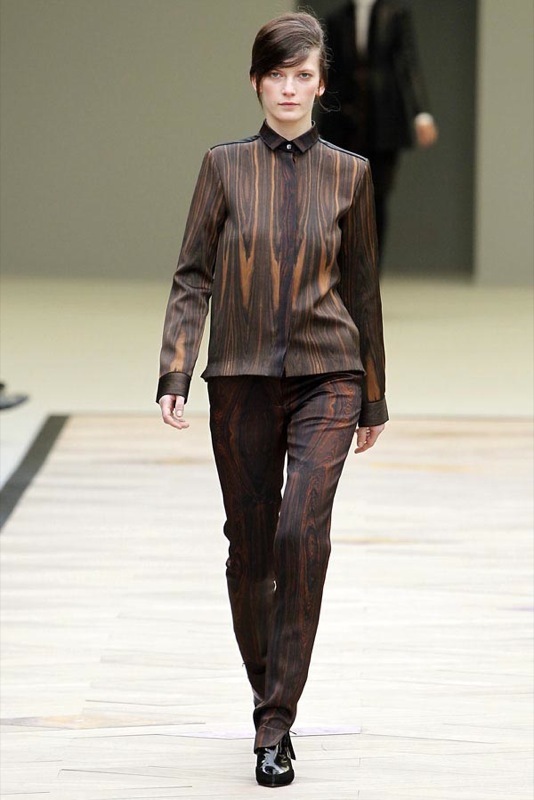 I never imagined a designer would tackle the print outside of the men's sportswear genre. I should have known it would be Phoebe to take on the challenge. What a glorious interpretation! So rich, so lush. I am ready to wear it now. 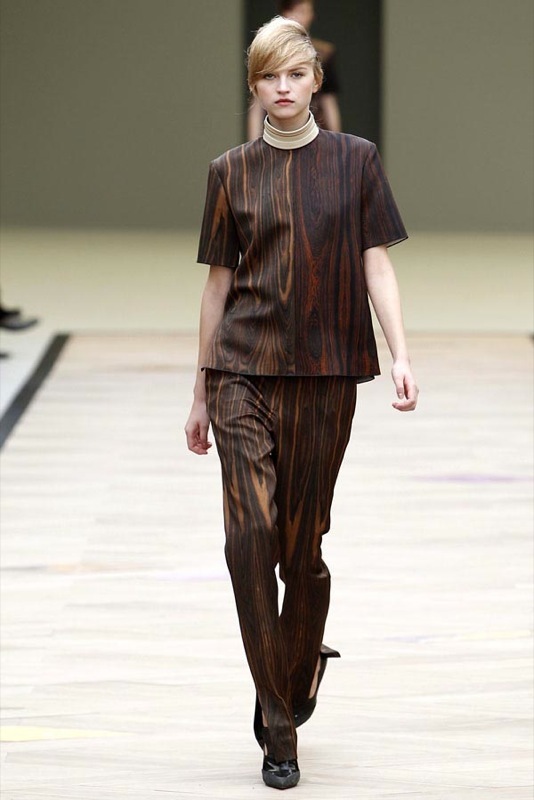 Rodarte showed wood paneling in their spring collection, a season before celine. you are sooo right. i knew i forget someone! ha. i guess i'm blinded by my loyalty to celine!